Attorney Manion is a partner practicing for over 35 years in the areas of Residential Real Estate, Divorce and Family Law, Criminal and DUI Defense, and Estate Planning. 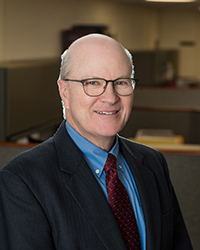 He serves as a Special Master for Family Matters in the Tolland County Judicial District and is a member of the Real Property and Family Law Sections of the Connecticut Bar Association. He has served on the South Windsor Planning and Zoning Commission and other committees in the Town of South Windsor. Attorney Manion has served as Legal Counsel and Executive Vice-President of the Greater Hartford Jaycees, organizers of the PGA Tour Greater Hartford Open, currently known as the Travelers Championship. Attorney Manion has lived in South Windsor for 31 years, where he and his wife Eileen raised their three sons.